A modern sci-fi masterpiece. From the tonal art direction, to the moody cinematography, to the crucial and snappy editing, to the excellent central performance from the magnificent Amy Adams, without even mentioning the script. It fires on all cylinders. This film really got me. The concept of universal language transcends to a different level. Plus, it was really amazing how the film managed to talk about science, technology, international relations, and linguistics, all at the same time. Not a fan of sci-fi movies but this one's brilliant and deserves praises! I still need another viewing of this film but it certainly gripped me the entire time! Very interesting concept and hope to see this as a good role model for modern Sci-Fi films. A strong 3 out of 4. Twelve alien craft appear around the world prompting the U.S. military to engage the services of a linguist who must ascertain their intentions before their more trigger-happy counterparts declare war upon the visitors. "Remember what happened to the aborigines. A more advanced race nearly wiped them out." I couldn't stop thinking about this one and may not for awhile. "Arrival" is one of the best Sci-Fi films I've seen in this year. Everything about this film was just top notch that I can't put into words without going all over. Amy Adams was wonderful in this. A very grounded and real performance. Probably her best. Same thing that can said about Jeremy Renner. And how the aliens were part of the story was fascinating and quite clever. Without spoiling anything, they had a unique look to them. Like spiders. Although out the film, you feel their presence. A presence that's both scary and yet remarkable. No posts have been made on this movie yet. 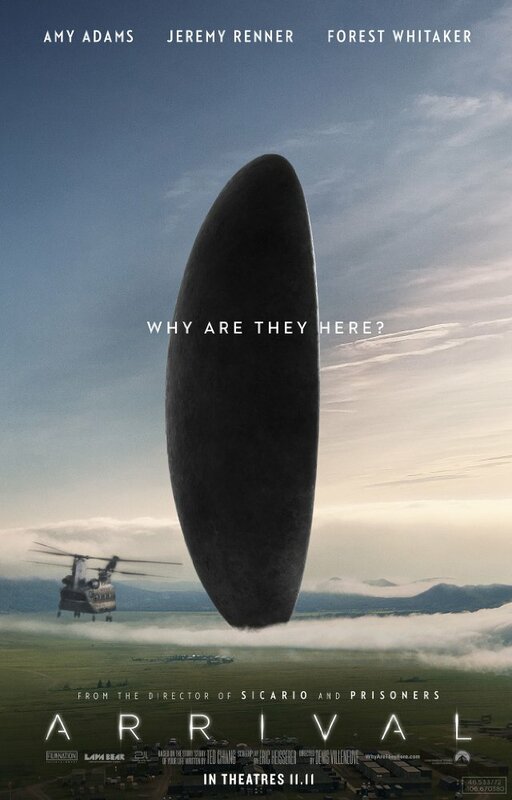 Be the first to start talking about Arrival!